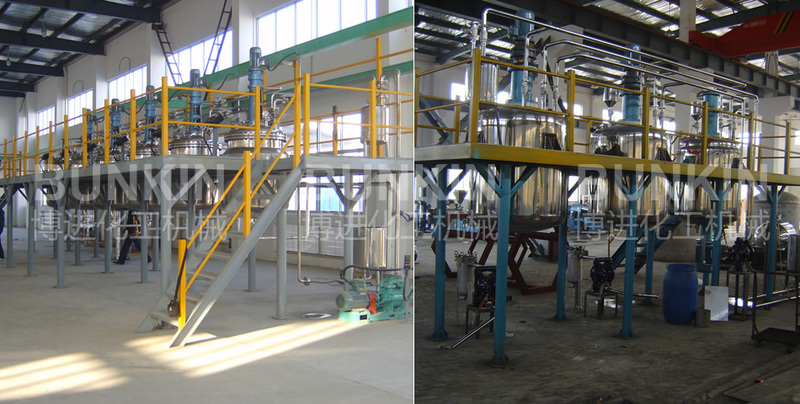 water-based paint production line_Anhui Bunkin Chemical Machinery Co.,LTD. Applied materials: Suitable for manufacturing of water-based paint, water dilatable coating, water dispersible paint (latex paint) and etc. Bunkin water-based production equipment ranges from single equipment with 500T/year capacity to complete production line with 100,000 ton/year capacity. We have successfully serviced customers specialized in water-based paint, water dilutable coating, water dispersible paint(latex paint), water soluble alkyd resin, water soluble epoxy resin, inorganic polymer water-based resin, etc.. Water-based paint complete production line adopts raw materials auto feeding system, metering system, basket dispersing and milling system, multi-function mixing and tinting system, cleaning system, auto control system, auto filling and etc advanced production methods. Completely automatic production process reduces workloads and avoids quality problems caused by human factors and herein, improving the products quality and efficiency to large extent. Application:Suitable for manufacturing of water-based paint, water dilatable coating, water dispersible paint (latex paint) and etc. (More information please click FREE CONSULTATION). Generally speaking, water-based paint production process contains following steps: batching, dispersing, milling, tinting, filtering and filling. 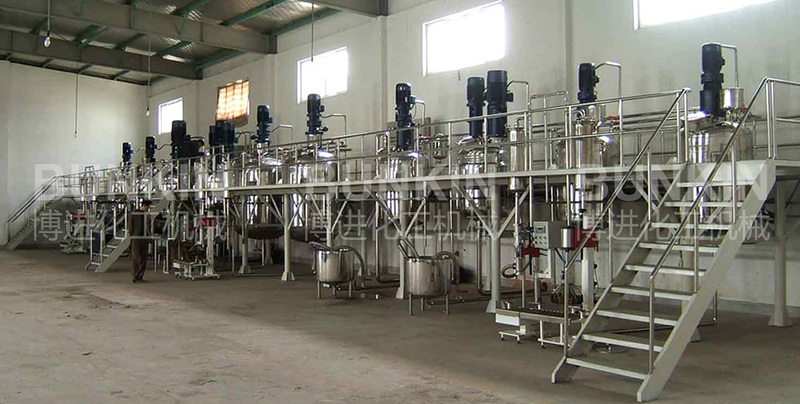 Batching and conveying: liquid batching adopts pumps, flow meter; powder batching adopts weighing system and air conveying; additives batching adopts weighing method. Dispersing: the first step to make paste. Powder material is equably dispersed into liquid by high speed disperser which generates uniform white paste without aggregation. Milling: second step of making paste. White paste are ground to required fineness by German-tech basket mill. Tinting: emulsion, color paste and additive are added into paste and mixed by single shaft or multi-functional mixer in tinting kettle. 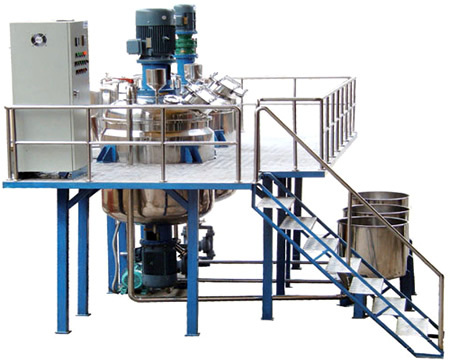 Filling: filtered product are filled whose specification is normally 10-25kg. Semi-auto or automatic filling machine are optional. Dispersing and milling all-in-one machine--basket mill is applied in plant as milling device which shows good products with good fineness, high stability, small chromatism and less pollution. Tinting system is able to produce and tint paint products in high, middle, low viscosity and easy to clean. Multi-function tinting kettle is optional to manufacturing high-build coatings, such as Gigging paint, elastic coating, putty and etc.